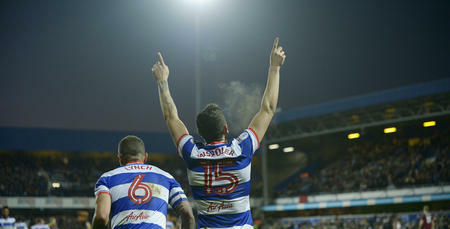 QPR celebrated their 100th anniversary at Loftus Road with a 2-1 victory against Ipswich Town on Saturday afternoon. 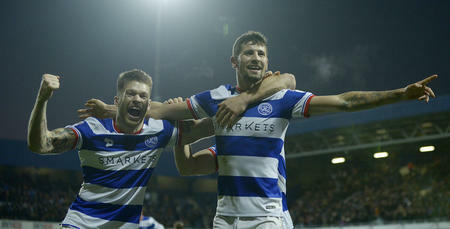 The R’s maintained their 100 per-cent home record in the Sky Bet Championship thanks to goals from Jamie Mackie and Luke Freeman, on an afternoon when Ian Holloway’s side totally orchestrated proceedings in W12. Mackie opened the scoring with a fine close-range strike on 43 minutes, before Freeman made it two early in the second half with an 18-yard toe-poked finish that gave the overworked Bartosz Bialkowski absolutely no chance. 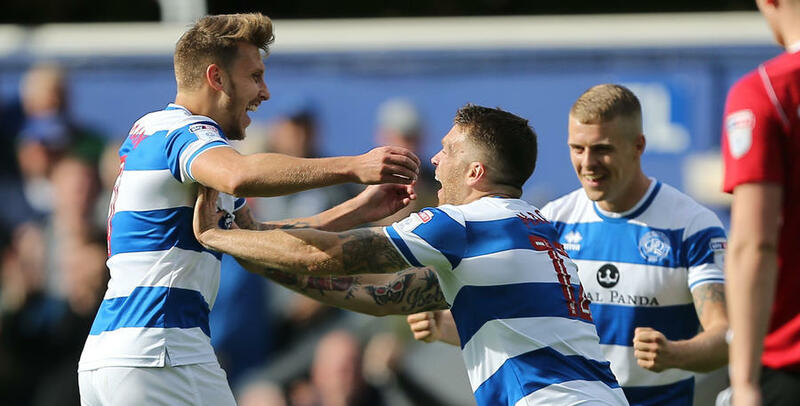 Bersant Celina bagged a consolation for the visitors late on with an outrageous goal from distance, but the R’s weren’t to be denied, claiming a third home league win on the spin. Despite Town’s late goal, the manner of the performance from Holloway’s side was befitting of the occasion, as the Hoops faithful left the stadium embracing yet another home win, on a special day for the club. Holloway made three changes for the visit of the high-flying Tractor Boys to W12. Jack Robinson, Alex Baptiste and Pawel Wszolek were all handed starts following the two-week international break. Alex Smithies lined up behind a back three of Robinson, Baptiste and Nedum Onuoha – the R’s skipper making his 200th appearance for the Hoops. Wszolek and Jake Bidwell occupied the wing-back roles, while the midfield-three of Josh Scowen, Massimo Luongo and Freeman remained unchanged. Mackie and Conor Washington led the line in attack. David Wheeler and Bright Osayi-Samuel were named on the bench following their recent respective transfers to Loftus Road. Ipswich boss Mick McCarthy made two changes to the Blues XI, with Callum Connolly coming in for his debut, joining Flynn Downes in the visitors’ starting line-up. Rangers came out of the traps quickly, creating the first chance of note in the third minute, when Washington latched on to Wszolek’s header and stung the palms of Bialkowski with a low drive from the edge of the box. The Northern Ireland international had another half-chance four minutes later, this time nodding Luongo’s back post cross a yard or so wide, as the Hoops made all the early running. The R’s were enjoying a positive start and Bialkowski had to be at his agile best to tip away Freeman’s shot from an acute angle on 12 minutes. Chances remained at a premium for the 15 minutes that followed, however, despite Rangers continuing to enjoy the lion’s share of possession. Indeed, it took the visitors until the half-hour mark to create their first chance – a header from David McGoldrick that was easily saved by Smithies. Moments later, at the other end, Freeman tricked his way past his marker and let fly from 18-yards, only to be denied by Bialkowski, who beat away his left-footed effort. Bialkowski was certainly the busier of the two keepers, called into action again nine minutes before the break to tip over Scowen’s speculative shot. Undeterred, all the R’s hard work and perseverance was eventually rewarded two minutes before the break – thanks to a brilliant finish from Mackie. Luongo broke free in midfield and teed up Wszolek, and when his ball across the box found Mackie, the Hoops’ fans’ favourite expertly fired the ball low past Bialkowski to put Rangers in front on the stroke of half-time. It was the perfect time to score – and no less than Holloway’s side deserved for a dominant first-half display. And that perfect end to the first half was followed by an ever better start to the second period, thanks to our player-of-the-month for August. Freeman doubled the R’s advantage on 49 minutes with a terrific toe-poked drive from fully 18-yards, giving Bialkowski absolutely no chance! Ipswich rallied briefly after the goal, with McGoldrick sending their first shot on target on 55 minutes – a scuffed effort that was comfortably saved by Smithies. Play soon switched towards the Loft End – the end Rangers were attacking in the second half – with Washington firing on target from 20-yards, but Bialkowski saved once again. The Ipswich stopper was being peppered every time the R’s broke into the Town half, with Luongo the latest to test the visiting keeper on the hour-mark with a stunning 25-yard effort, that brought the very best out of the big Pole. Next, it was Washington who tried his luck, bringing the ball down from Baptiste’s long ball over the top and firing a half-volley on target, which Bialkowski again saved. McCarthy attempted to breathe life into his side with three substitutions soon after, before Holloway responded with his first change on 77 minutes, as Wheeler entered the fray at the expense of Wszolek. It didn’t take the former Exeter wide-man long to introduce himself, firing a yard or so wide with his first touch after Ipswich failed to clear their lines from a corner. Goalscorer Mackie was replaced by Kazenga LuaLua nine minutes from time, with the R’s front-man receiving a standing ovation from the R’s supporters. At the same time, Washington made way for Matt Smith, who hit the bar merely 30 seconds after being introduced with his very first touch! Luongo went close to putting the gloss on a fine individual display with a curled effort that flew inches wide three minutes from time. The drama wasn’t quite yet over, however, as Celina fired an unstoppable 25-yard drive past Smithies to half the deficit. But in the end it mattered little, as the Hoops ran out worthy 2-1 winners. 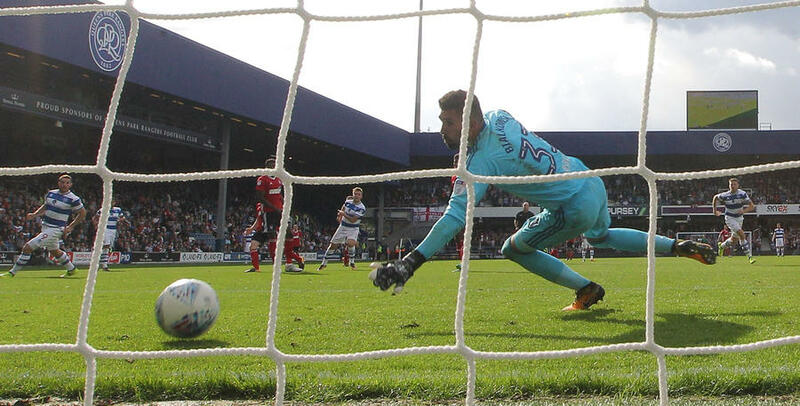 WATCH highlights from QPR's 2-1 win against Ipswich Town at Loftus Road.